The Domino Sugar Refinery (left) and 325 Kent (right) from the East River. 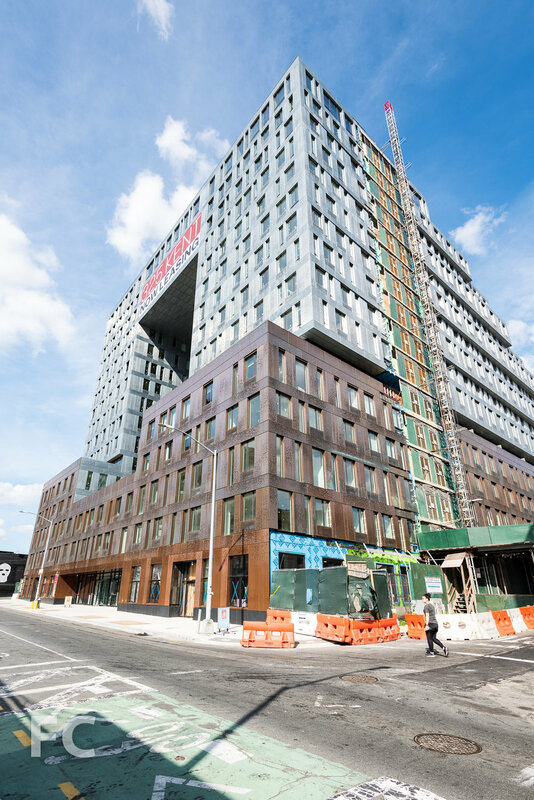 Residents are beginning to move in at 325 Kent, the first residential project of Two Trees' Domino Sugar development on the Williamsburg waterfront in Brooklyn. 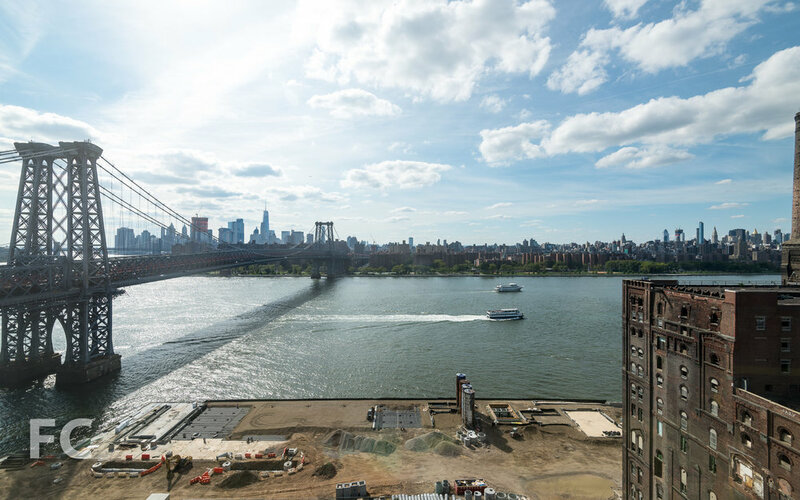 The master plan for the Domino Sugar site calls for 2,800 apartments spread over four new residential towers, the renovation and conversion of the refinery building into an office complex, and a waterfront park by High Line designers Field Operations. 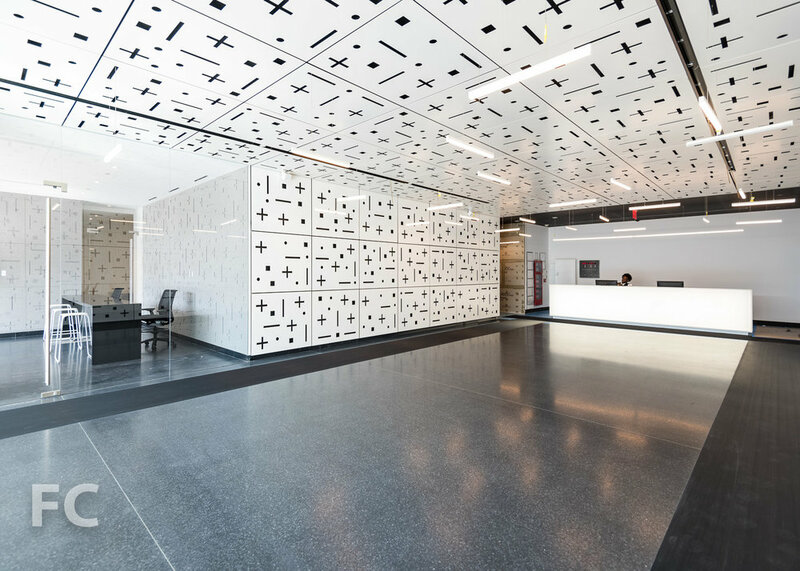 SHoP Architects led the design for 325 Kent, which is composed of two 16-story towers connected by a podium and a bridge at the top three floors. 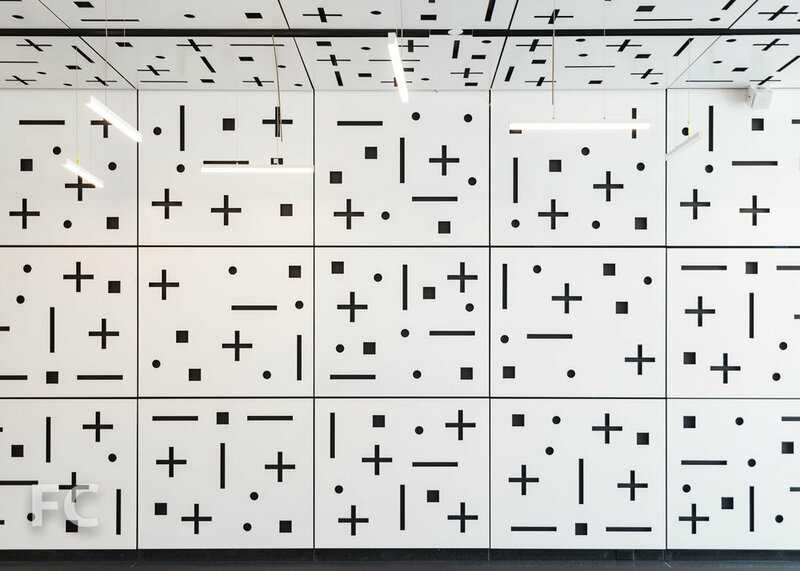 Perforated copper panels clad the five-story podium, with similarly perforated zinc panels cladding the two towers and connecting bridge above. 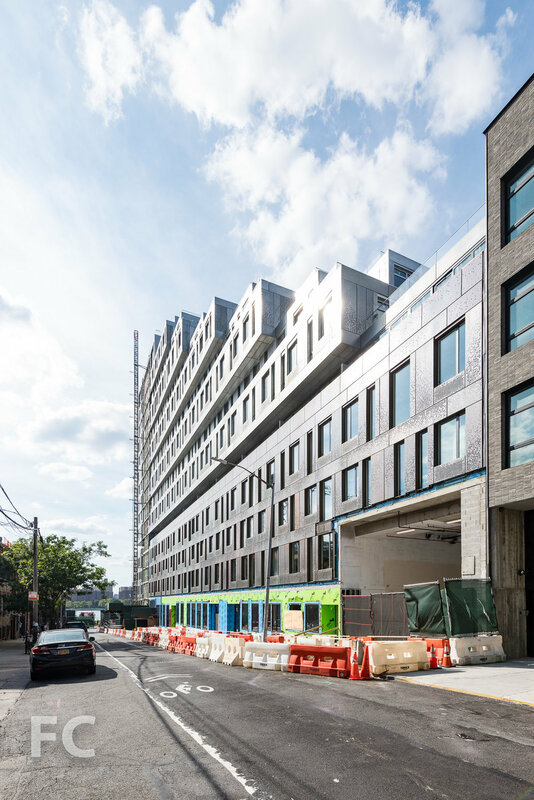 325 Kent will offer 522 residential rental units, including 104 units designated affordable for low income residents, ranging in size from studios to two-bedrooms. 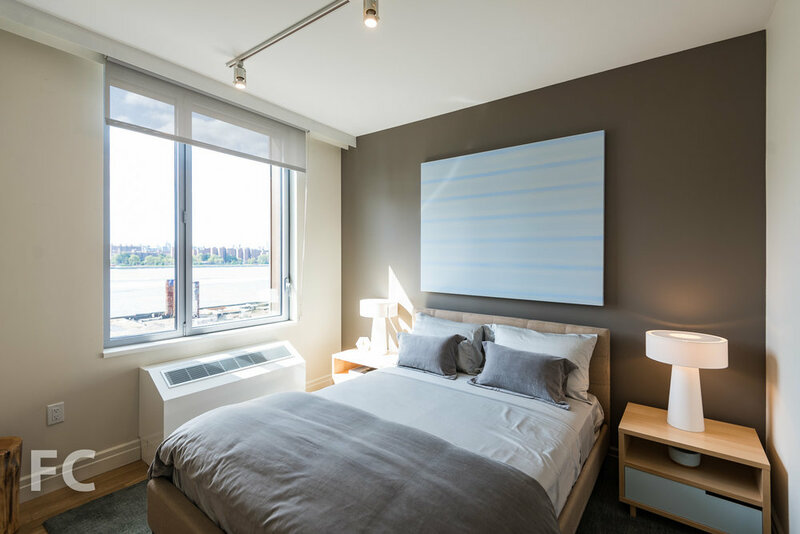 Apartments offer views of Manhattan, Brooklyn, and the central courtyard that sits atop the roof of the podium. 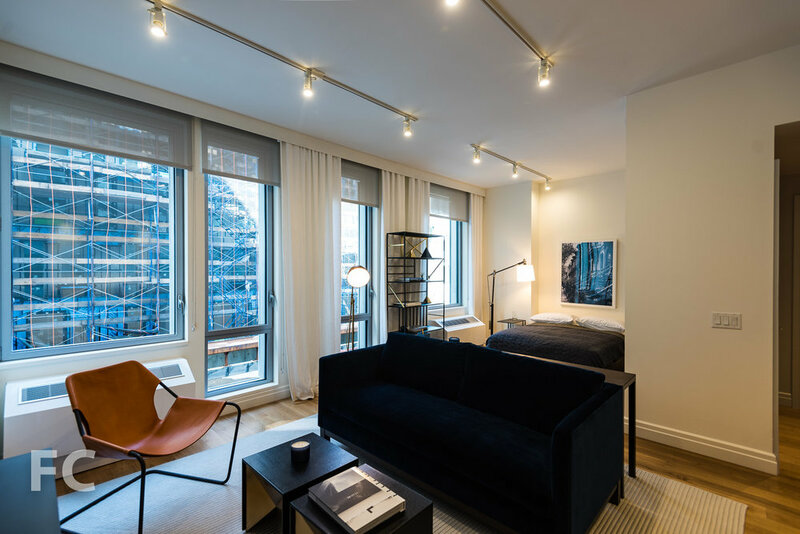 Along with the typical high end appliances, custom cabinetry, and hardwood floors, many of units feature private balconies looking onto the interior courtyard or private terraces created by the stepped massing of the east tower facades. 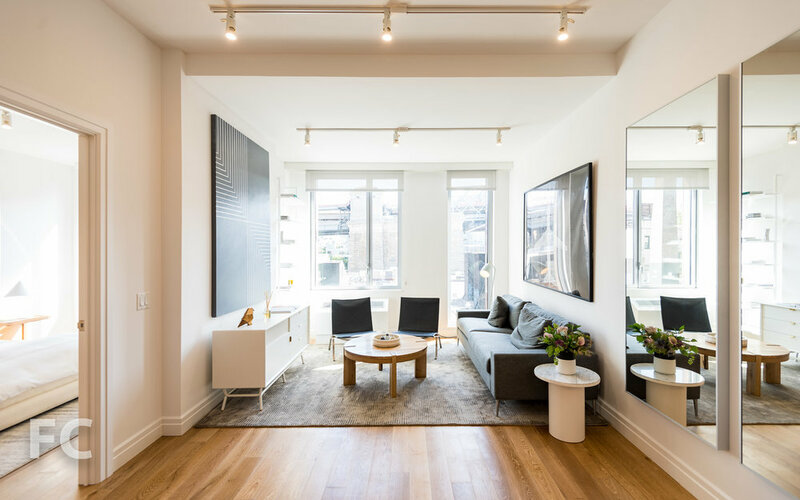 Along with the 2,000 square foot courtyard on the fourth floor, 325 Kent also features resident lounges and a fitness center within the connecting bridge at the top of the building. At the roof deck of the bridge, residents will have access to BBQ grills, cabanas, and an outdoor dining area. Manhattan skyline view from the residential lounge. Garden facing facade of the south tower.